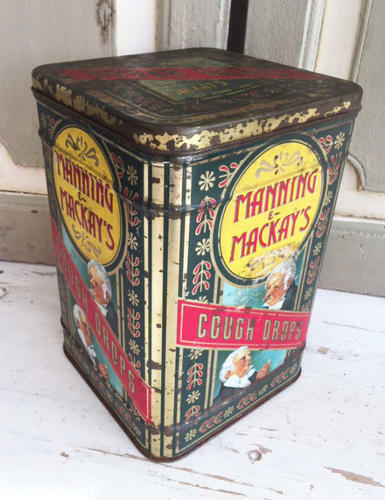 Attractive large Manning and Mackays Cough Drops tin. Sides are in great colour with very little fading. The top is faded but still looks good. This tin has a great look about it but was a later retro edition and is about 35 years old.